The former President of AIFF (All India Football Federation) P P Lakshaman died after suffering from a long term illness in Kannur, Kerala. He died at an age of 83 years. 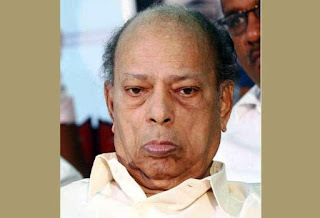 Lakshmanan served AIFF as the Secretary from 1988 to 1996. He went on to become senior Vice President of AIFF in 1996 and eventually, became Executive President in 2000. He has also served the Kerala Football Association as the Vice-President. He was the Executive Committee Member of the Indian Olympic Association for five years. Who is the current President of AIFF? What is the full form of the abbreviation AIFF? Where are the headquarters of AIFF located? What is the Venue of FIFA World Cup 2018? What is the Venue of FIFA World Cup 2022? What is the official mascot of FIFA World Cup 2018?